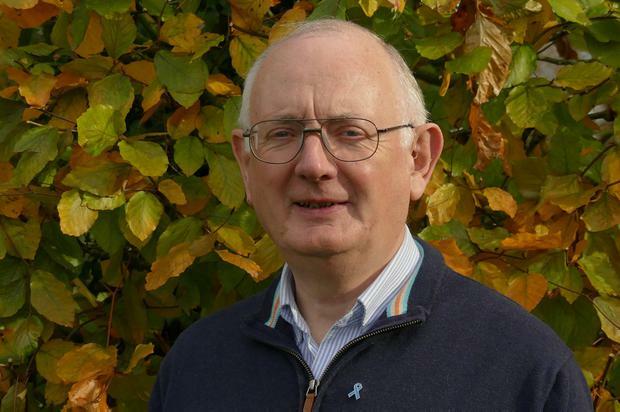 When Tom Hope (71), from Dunboyne, Co Meath, was diagnosed with prostate cancer nearly 10 years ago it came as "a total shock". The retired accountant had gone to his GP for a routine annual check in 2009, when he was aged 62. However, a blood test came back with readings that merited his referral to a urologist. An elevated prostate specific antigen (PSA) reading was a cause of concern, and he underwent a biopsy to clarify what was behind this. Mr Hope said that after the results of the biopsy came back, he was told he had "low-grade" prostate cancer. It came as a "total shock as I had no symptoms or any difficulty with my urinary function", he said. He was given the option of surgery to remove the prostate, or active surveillance, which involved getting a blood test every six months to monitor his PSA and visiting his urologist every six months for examination. "I talked over the options with my wife Kitty and I decided to follow active surveillance as I did not wish to risk incontinence, unless it was absolutely necessary, and I could always opt for surgery at a later stage if I changed my mind. "I also explained my decision to my three adult children." Mr Hope remains in good health, and has volunteered as a driver for the Irish Cancer Society, bringing patients to hospital for chemotherapy. Speaking about the new research that could see a urine test being used to pick up cases of prostate cancer, he said it was "a big breakthrough". He would welcome a urine test which would be reliable and enable aggressive cancers to be picked up earlier. Eilish O'Regan Some cancer patients who need tumours removed cannot be admitted to hospital on time because of a lack of beds, a doctors' conference has been warned.